Posted June 21, 2016 by Guest Writer & filed under Lists. It is now 30 years since Doctor Who returned from its first hiatus with a reduced episode count and a season arc reflecting the show’s situation at the time. ‘The Trial of a Time Lord’ was the umbrella title for 1986’s quartet of stories linked by a running narrative, the title of which said it all. With Michael Grade warning the season would be a make or break, the Doctor was on trial in more ways than one. The verdict from the audience was a hung one. With disappointing viewing figures and a mixed response from fandom, it seemed the new improved Doctor Who was not living up to promise. It subsequently became remembered as the season with one good story; a good penultimate episode, but little else. Oh, and there was Bonnie Langford too. So has time been kind to the Trial? There are aspects that could still stand some improvement. The model effects that opened with a highly raised bar were somewhat poorly by the third story, while La Langford’s overall performance in ‘The Ultimate Enemy’ would be bettered by the removal of Mel’s thigh-slapping reaction shot dialogue. “That’s it, Doc, now we’re getting at the dirt.” Indeed! But these quibbles aside, ‘The Trial of a Time Lord’ is surprisingly better than one might have previously recalled. JNT invested an awful lot of budget in ensuring an epic model shot to open the comeback season with a bang, and it paid off handsomely. The sweeping shots of the Time Lords’ highly detailed “cathedral in space” combined with Dominic Glynn’s darkly heraldic fanfare still impresses even today. In fact ten years after it was shot, the Fox network deemed the sequence still good enough to use a portion of it in their trailer for the 1996 TV movie. Robert Holmes’s final full story may not be one of his most accomplished, but his tradition for comic duos was never more evident than in the Fagin like Glitz and his partner in crime, Dibber. An incorrigible rouge from the planet Salostophus in the Andromeda constellation, Holmes blesses Glitz with the most sparkling and witty lines since Richard Mace in ‘The Visitation’, while Tony Selby clearly relishes delivering them. Little wonder he was ushered back for a couple of encores. 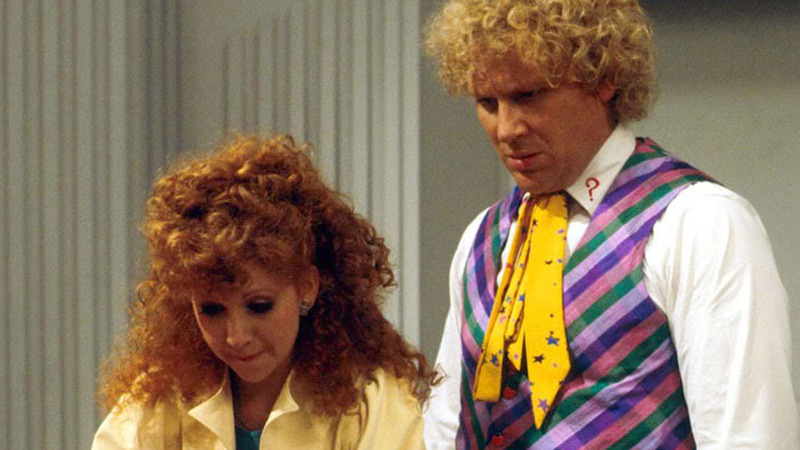 Still the breakthrough story of the season, and featuring Colin Baker era’s breakthrough villain, Sil. Despite Michael Grade’s orders to eschew horror and violence, writer Phillip Martin uses dark humour to smuggle in disturbing concepts like human surgical experimentation, cross species mutation and mind slavery. Then there is the emotionally devastating climax in which Peri is apparently killed by mental erasure and her body used to house an alien. Nicola Bryant could not have wished for a more chilling farewell performance. Brian Blessed is wonderfully OTT too. Not many were impressed by the whodunit in space at the time. Least of all young Chris Chibnall who accused writers Pip and Jane Baker of serving up a standard Doctor Who tale done many times before. But we love the base under siege/killer on the loose scenarios and Vervoids actually pulls it off well. 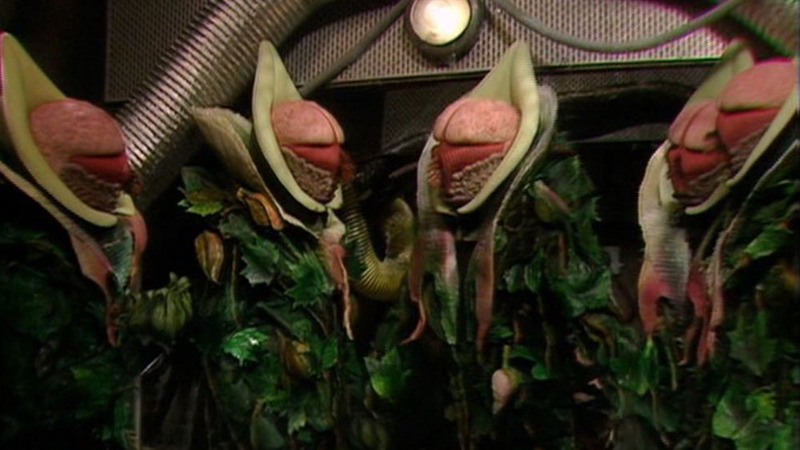 Beautiful sets, stunning if rather eyebrow-raising looking aliens, plus some classic cliffhangers in a series that had been sadly lacking in them of late. 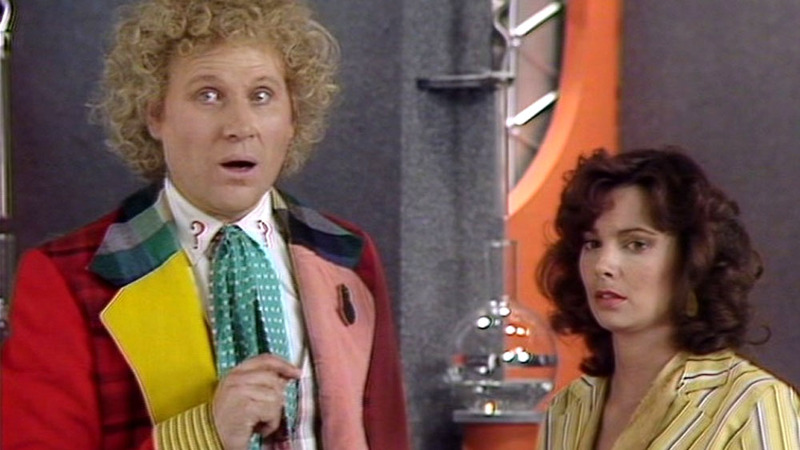 And how many Doctor Who adventures can boast a former Avengers and Bond lady? It would be 27 years before we got another one. Bob Holmes’s final script for the series was sadly cut short by his untimely death before he could complete the second concluding episode. Whether Pip and Jane Baker’s completion adequately served it, or Eric Saward’s proposed script would have done the job better, remains a matter of speculation. But what a set-up he left. 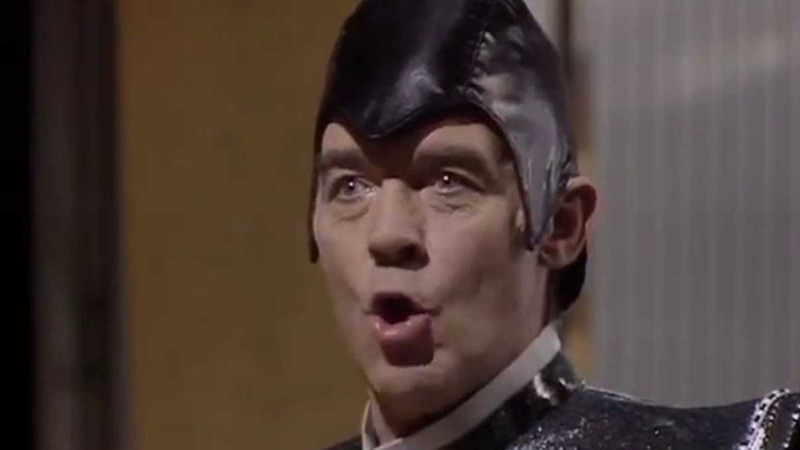 Within the space of one episode, Holmes climaxes the trial, exposes the High Council conspiracy and the truth about the Valeyard, then steers into a darkly surreal matrix ordeal, complete with a nightmare cliffhanger worthy of the Elm Street films. What an explosive note for Holmes to finish on. > Buy ‘The Trial Of A Time Lord’ on DVD on Amazon. > Read more by Barry McCann on his blog. 1- Colin Baker as the Doctor. 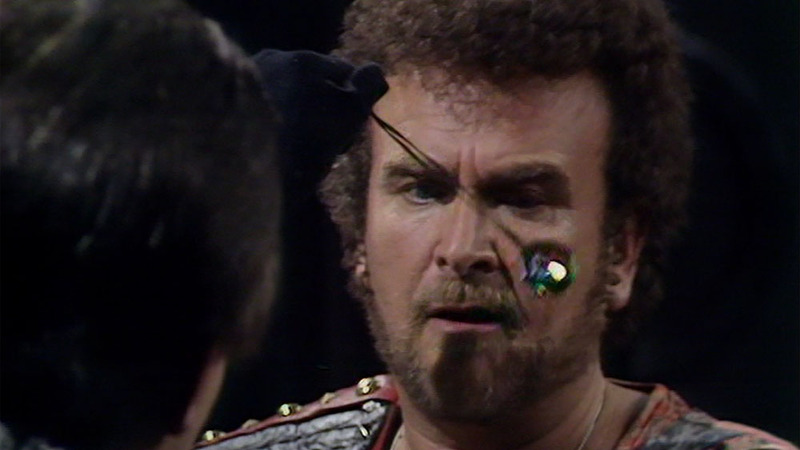 2- Colin Baker as the Doctor. 3- Colin Baker as the Doctor. 4- Colin Baker as the Doctor. 5- Colin Baker as the Doctor. I’m actually in the process of purchasing a copy of the full Trial of a Time Lord though iTunes. I love this story. What they did to Peri was horrible. They retconned her death, and then just left her there with Ykarnos — willingly or not, we’ll probably never know. And Mel just got on my nerves. A young Chris Chibnall may not have been impressed with what he saw in Trial of a Timelord but I’d rather the older and wiser Chris Chibnall goes back into this sort of direction with NuWho instead of serving up more of the same guff that we’ve had under RTD and Moffat. anyone else realize that by cannon now, the Valyard is the David Tenet meda-crisis doctor?